coverage—for their evolving SME offerings. 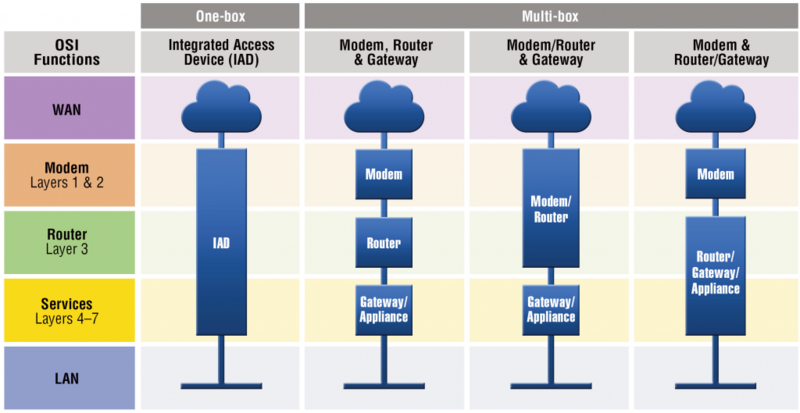 For customer premises equipment, multibox (modem + router + gateway) and single-box (IAD) solutions must be evaluated. So, what are the pros and cons? to these open and ever-evolving challenges. as well as the business plan for the venture. CPE architecture, shown as a set of schematic diagrams. known as an Integrated Access Device (IAD). are built into the same box. or eSBC in a second box. combines Layer-3 routing, QoS and security functions, and media-gateway or eSBC functions. So, which approach is better? One-box or multibox? From the perspective of logistics, installation and management, the intuitive answer would seem to be “fewer boxes is better.” However, I would say “it depends.” Here’s why…. >>Or you can download the full white paper here. . . Which approach is better for your network applications–one box or multi-box? Ramon Felder is the business development executive for Patton-Inalp Networks in Switzerland. 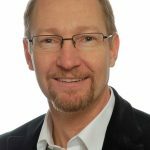 Previously he has served Patton-Inalp over 18 years in different roles as CEO, COO and product manager. Mr. Felder graduated in 1996 from the Swiss Federal Institute of Technology in Lausanne and holds an Master degree in Business Administration from the University of Rochester. Previous Post:Patton Academy is LAUNCHED! Looking forward to Part II RAmon!